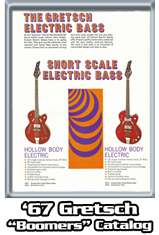 The 1967 Gretsch "BOOMERS" bass guitar catalogue lists this model as the Country Gentleman Bass. 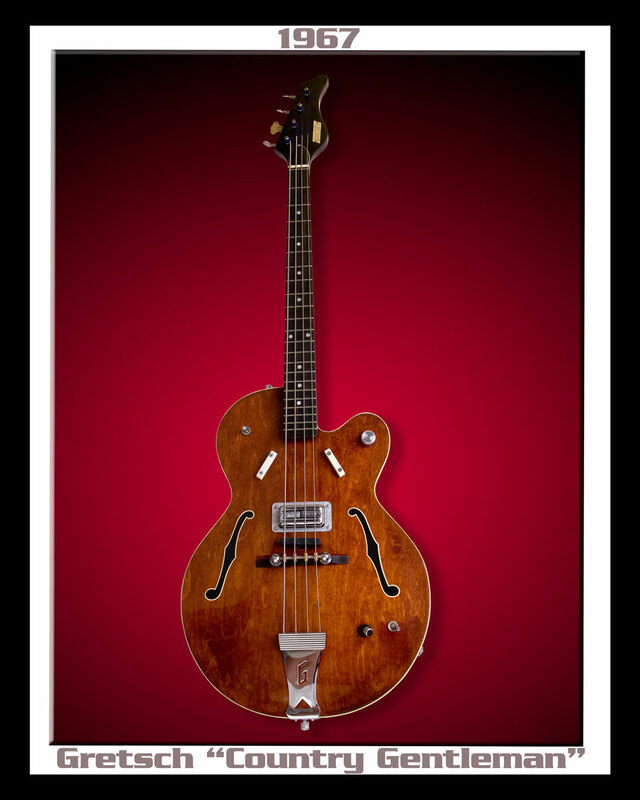 This high quality bass was launched in '62, production ceased in '72. 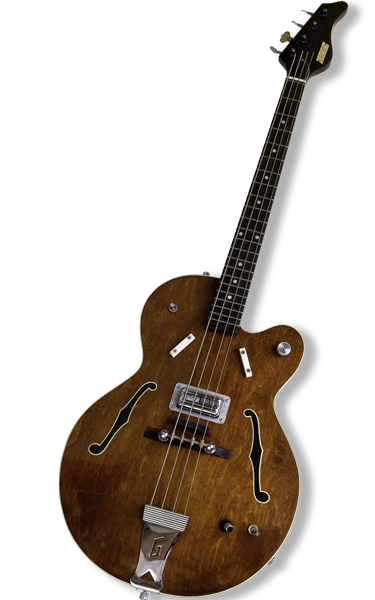 The Gretsch 6070 is a nicely balanced Long-Scale Bass. 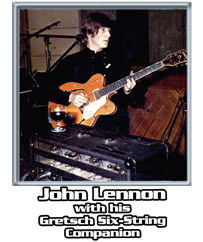 It features a specially designed pick-up, floating bridge, string mute, 3 position tone switch, 1 volume and a mute switch. 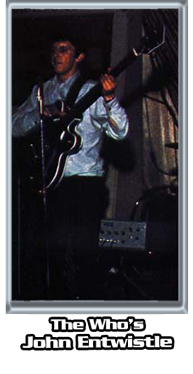 The most notable player of the "6070" was John Entwistle in the early days of The Who. 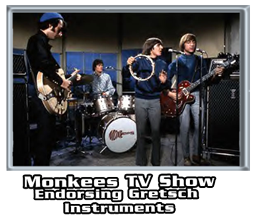 Getsch instruments, including this bass, were endorsed by the "Monkees" on their '60s TV show.